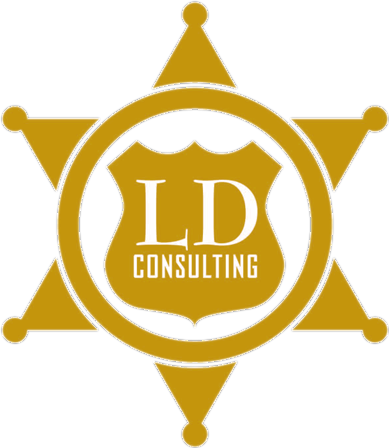 LD Consulting is proud to offer the Law Enforcement Inspections and Auditing Certificate (LEIAC)™ designation. This designation is designed specifically for law enforcement professionals engaged in inspections / audits or operations designed to enhance organizational efficiency and effectiveness. The LEIAC™, is recognized* by the International Law Enforcement Auditors Association (ILEAA). Most law enforcement professionals are not professional auditors but are sworn or professional staff (non-sworn) assigned to an administrative or inspections/audit assignment for 3-5 years before transferring to another position. The LEIAC™ designation is designed for these law enforcement professionals who do not have an interest or a need for an advanced auditing designation such as the Certified Law Enforcement Auditor (CLEA) or the Certified Government Auditing Professional (CGAP) designation which require ongoing educational requirements. This course was designed to meet this need and provide quality, affordable law enforcement audit training and networking opportunities. The LEIA 101 course is a great overview and introduction to law enforcement auditing and inspections and is a pre-requisite for the LEIAC certification course (LEIA 201). Law Enforcement auditing and inspections is unique. Often there are more considerations, regulations and consequences along with more processes to master. Gaining the knowledge to work in this area is only part of the equation. You also want to ensure your employer recognizes your specialized training. The LEAIC™ designation was designed specifically for law enforcement professionals faced with the tough issues facing law enforcement today at the local, state and federal levels. The LEIAC is an excellent credential that prepares and qualifies you for the many challenges you face in this demanding arena. Lay the foundation for continued improvement or advancement. The LEIAC™ designation is awarded only to law enforcement professionals who successfully complete the required courses of study. The LEIAC™ does not have continuing education requirements, although continuing education is recommended for those actively involved in law enforcement inspections/audits. The LEIAC™ is also a great step towards determining an interest or a need for a more advance designation such as the CLEA (1) or CGAP (2). A. Successfully completed and graduated from a government sponsored law enforcement academy, AND have a law enforcement commission (sworn) from a government entity (includes retired sworn personnel). B. Professional staff (non-sworn) currently employed (or retired) by a law enforcement organization or government entity. Examinations: Receive a passing score on all LEIAC™ examinations of 75% correct. * These courses are recognized by ILEAA towards the LEIAC™ designation and not the Certified Law Enforcement Auditor (CLEA) credential. In addition to the law enforcement audit courses associated with the LEAIC™ designation, we offer additional training.